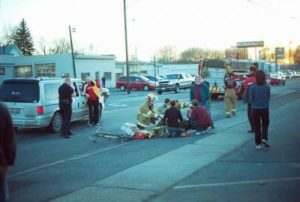 Pedestrian accidents are a common phenomenon here in Palmdale and the results are quite devastating, sometimes catastrophic. Most of these accidents are caused by the driver’s negligence in paying attention to road signs and rules. Sometimes it is caused by their vehicle failure or some other factor. Once a pedestrian accident happens, the Highway Traffic Law, Personal Injury and Insurance Act Laws all come into play. Although sometimes the pedestrians are at fault for crossing at the wrong place, we at Rawa Law Group are specialized in fighting for your right and ensuring you get your full benefits/compensation. Rawa Law Group has been helping pedestrians of Palmdale in claiming several hundreds of millions in cash for their compensation after an accident. The first thing you ought to do after being hit is to get medical attention. After that, you can report to the police and then call on a pedestrian accident lawyer from Rawa Law Group. We will offer you topnotch legal representation and help you through the process of securing your bills before your case is done. You can contact for a free consultation and we only make charges after you have received your compensation. Our attorneys are predisposed to make a home or hospital visits in severe cases where victims are immobile. We also offer our clients with flexible appointment hours to make up for a busy schedule. Helping you maximize your benefits is what Rawa Law Group stands for. To hire a topnotch pedestrian attorney Palmdale, CA, contact us at our address below.